Hungry Between Meals? Grab Healthy! Hunger pangs between meals are common, or rather normal. 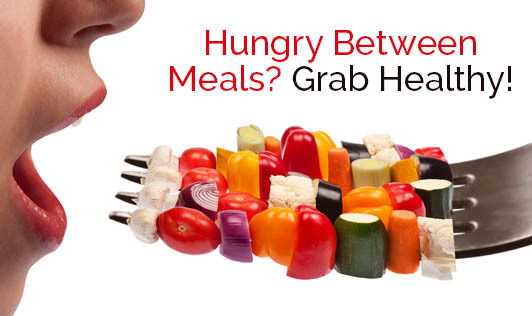 A healthy diet should have 2 to 3 small food packets in addition to the 3 major meals. When we say 5 to 6 meals a day, we mean healthy meals! Here are a few foods that you can include in between the breakfast and lunch and/or between lunch and dinner. Nibbling healthy foods won’t harm you. Above mentioned foods not only fill your stomach, but also keep your skin healthy, keep you fresh, keep you light, keep you happy!